Nature is a destination, but you don't have to travel anywhere to find it. Just open the door and step outside. 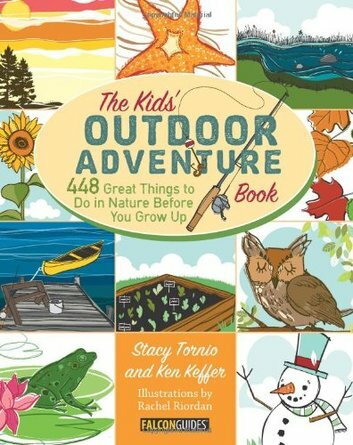 A fun, hands on approach to getting involved in nature, The Kids' Outdoor Adventure Book includes 448 things to do year-round for kids of all ages -- more than one activity for every single day of the year. The perfect book for children and parents to read together, this interactive guide offers craft projects, fun outing ideas, yummy garden recipes, nostalgic outdoor games, and more, along with fascinating facts about nature, useful tips and tricks, and plenty of additonal resources. Paperback, c2013, 224 p. : ill. ; 19 cm.